Suntech has gone from solar panel maker to financial black hole. The stricken company is fighting with creditors who want to see it liquidated after it defaulted on interest payments in March. Proposals to sell assets and take Chinese government cash seem unlikely to help investors avoid huge losses. For investors it’s a lesson in what happens when things really go wrong with Chinese companies. Holders of Suntech’s bonds are owed $541 million. But local lenders, which have extended $1.7 billion or so, are first in line. 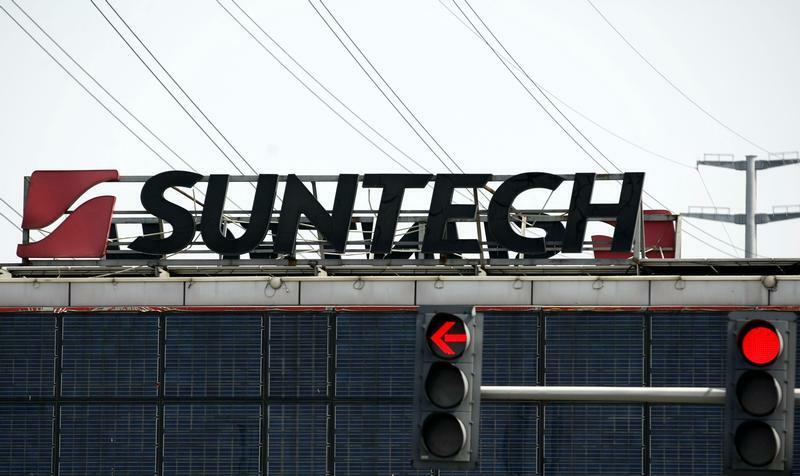 Suntech’s bankrupt Chinese subsidiary has agreed to sell most of its assets to a Hong Kong-listed solar panel maker for $490 million, but it’s unlikely any of that cash will reach bondholders of the overseas holding company. Liquidation offers closure, but it could yield mere pennies. Suntech’s creditors are now left at the mercy of politicians in China – rarely a good place to be. A local state-owned vehicle, Wuxi Guolian, is offering $150 million of cash to recapitalise the U.S. listed vehicle, plus some unspecified assets, likely to mean bits of other local solar manufacturers. In return, bondholders would get equity, but it’s hardly attractive. The bonds’ current market value of 21 cents to the dollar may be as good as it gets. With so many moving parts, valuing Suntech is a mug’s game. The $270 million suggested by the combined market value of the company’s bonds and shares on Nov. 7 looks heroic. Even if Wuxi Guolian puts up the cash and creditors swap some debt for equity, existing shareholders will be heavily diluted. To add to the dysfunction, the New York Stock Exchange has said it will suspend trading in the shares on Nov. 11. While Suntech’s demise drags on, investors in other Chinese companies should watch closely. U.S.-listed Chinese technology stocks are flying even though their investors have the same tenuous claim on mainland assets, and are equally at risk of political meddling. Tech companies’ revenue growth may offer a wild ride on the way up, but Suntech’s grisly unwinding shows it gets even wilder on the way down. The Suntech Power Holdings logo is seen on the roof of a building at the company's headquarters in Wuxi, Jiangsu province March 21, 2013. Picture taken March 21, 2013. Are resurgent solar stocks burning too bright? China Suntech Power Holdings, once the world’s largest maker of solar panels, said it had filed for “provisional liquidation” in the Cayman Islands, where it is incorporated, on Nov. 6. If approved, the move would frustrate an attempt by some of the company’s bondholders, to whom Suntech owes $541 million, to have the company liquidated in New York where its stock is traded. Suntech’s convertible bonds are ranked below the company’s mainland Chinese creditors. The company, which has not filed detailed financial results since the first quarter of 2012, had around $2.4 billion of unsecured and contingent liabilities at the end of June. Shunfeng, a Hong Kong-listed solar panel maker, said on Nov. 1 it had agreed to buy Suntech’s panel and module manufacturing operations in China for 3 billion yuan ($490 million). Suntech had also said on Oct. 30 that a Chinese investor, Wuxi Guolian, intended to inject $150 million and unspecified assets into the U.S. listed holding company. It warned that existing shareholders would face “substantial dilution”. Suntech’s shares closed at $0.88 on Nov. 6 having fallen 30 percent during the day. Its market capitalisation was $159 million.